David Ward will continue serving as interim senior vice president for academic and student affairs for the University of Wisconsin System. 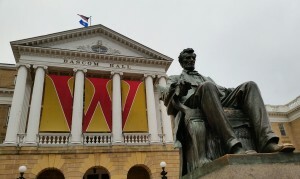 UW System President Ray Cross said David Ward has agreed to stay on for another six months, as UW officials renew efforts to find a permanent successor and improve reforms. Ward took on the role June 18 of last year, after Mark Nook accepted a position as chancellor at Montana State University Billings. He had previously served a term as chancellor from 1993 to 2001. At Friday’s Board of Regents meeting, Cross thanked Ward for continuing his interim role during this difficult time. UW officials are trying to figure out how to deal with state funding cuts of $250 million over the next two years, which the legislature’s Joint Finance Committee approved as part of the state budget.